This is my favorite season is fall. These Pumpkin Macadamia Coconut Waffles . These are just perfect to start off the fall with! Making sure they are golden brown. 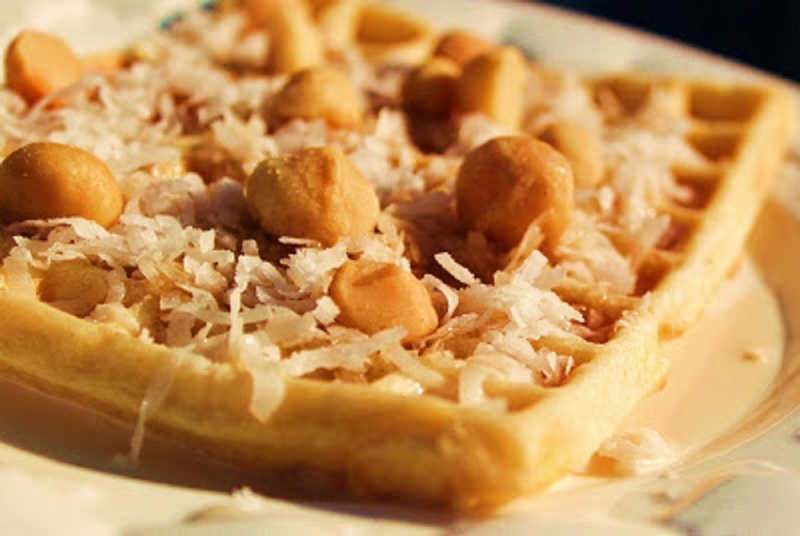 These are served with maple syrup, topped with macadamia nuts and coconut . Didn't see one you were looking for? Enjoy the wonderful holiday season with love!! I can't wait. They all look so good. I'll take 1 whoopie pie and 2 scones to start me off, thank you! My wife and I are going to try a new recipe for pumpkin waffles and orange syrup this morning. OMG, those scones look awesome! What a delicious pumpkin fest you have here. The issue would be what to make first, yum! Thanks for sharing these links. What a tempting and delicious collection! Fall IS the best time in NY! Oooh, cheesy scones sound phenomenal right now! I'm like a pumpkin addict and seeing your collection is making my mouth water. But right now it's the pumpkin latte that has me wanting to run to the kitchen even if it is nearly one here. P.S. I pinned this post and it worked for me. I was just thinking about you today, Claudia, as I was cooking in the kitchen. I thought to myself what a great cook you are. Well, I rest my case with all these lovely recipes....Yum! I love pumpkin too! I am really loving that crock pot latte! I know so many of these delectables. Right now the pumpkin scones and latte would be most welcome! Everything looks amazing!! But those pumpkin whoopie pies stopped me dead in my tracks! I could definitely see myself eating way too many of them :) Great recipes, they all look fabulous! the scones look fabulous! you have a great spread of pumpkin going on here. It was 71 degrees today on the East coast too. We are enjoying warmer fall weather too. 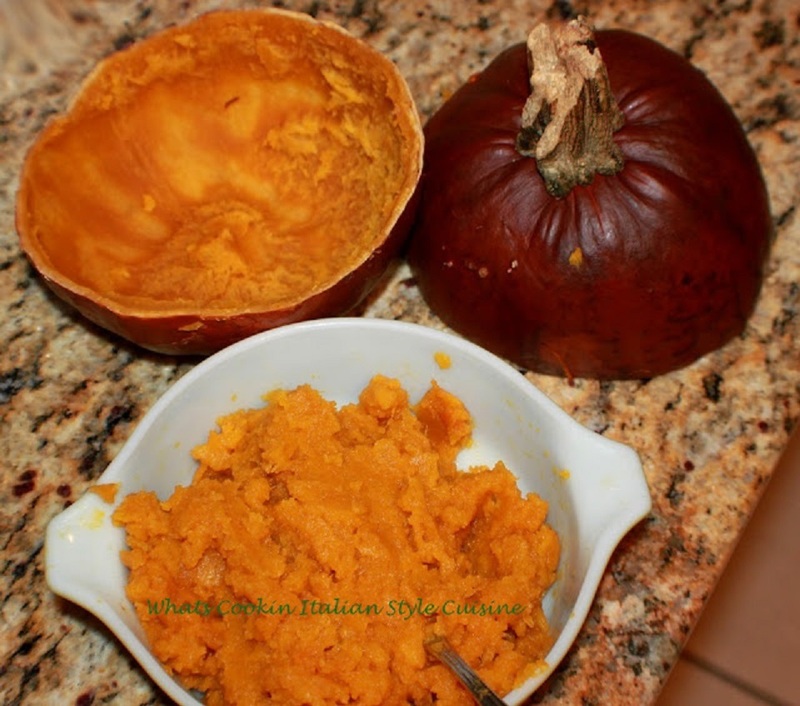 What a nice selection of pumpkin recipes, one will be perfect for a Thanksgiving dessert. What a delicious collection. Makes me want to run to the kitchen. Those pumpkin scones are especially enticing. Pumpkin Waffles sound delicious. Annette and I have waffles every Saturday morning, just might have to give these a try. What a perfect list of pumpkin possibilities Claudia! These waffles sound fantastic! I get into a rut sometimes but have several pumpkins to cook so I appreciate the timing of your delicious list. Thanks and Happy Thanksgiving to you and yours. That sounds like the best possible way to start Thanksgiving day. Delicious!! Hmmm...not sure I've ever had a pumpkin/macadamia combo, but it sounds awesome to me! I think each of your recipes is a keeper, Claudia! I especially love that Amaretto Pumpkin Cheesecake..sound perfect in every possible way! Thanks for sharing and have a wonderful Holidays!